The fanatical dream of an Aryan super race didn't die with the Nazis -- it went underground. Now the Order of Thule's thousand-year legacy has resurfaced. Modernized by state-of-the-art technology, this ancient German secret society is preparing to seize power through political infiltration, nuclear blackmail and a blood covenant among the world's tyrannical leaders. At the helm is an aging, merciless demigod -- the true guiding force behind Hitler and World War II. Pushed over the brink by his own delusions, he has turned the Order into a one-man blood sacrifice of cataclysmic proportions. 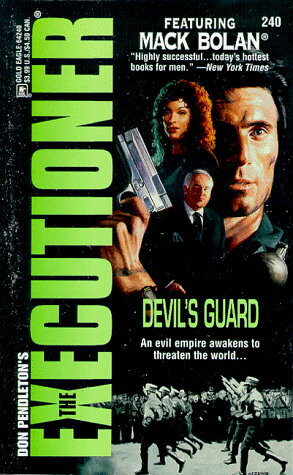 But even such a ruthlessly indestructible man has one enemy to fear -- the Executioner.